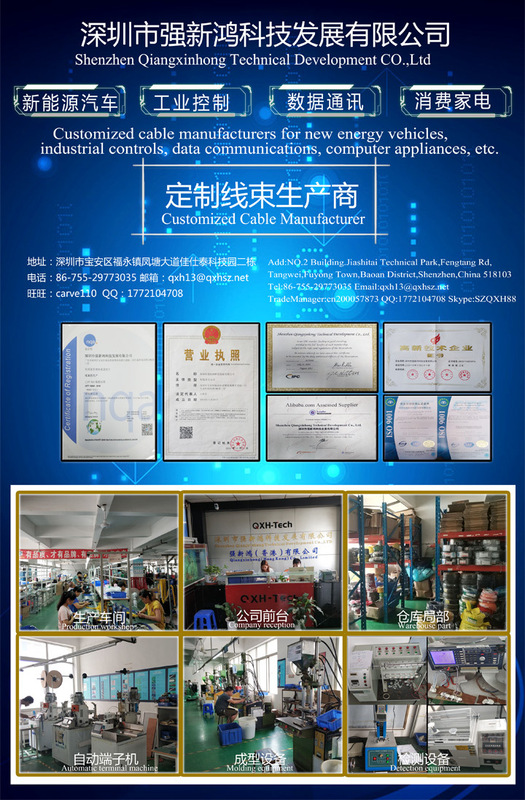 Shenzhen Qiangxinhong Technical Development Co., Ltd. is a professional OEM / ODM manufacturer for high quality data cables and procession connectors. Its production range covers regular,especially customized cables and wiring harnesses, for the applications:AV Cables,DB series, HDB Cables,VGA Cables, HDMI Cables, DVI cables, Ethernet cables,USB cables;Automobile and Machine wiring. Founded in 2005, Qiangxinhong is striving for the premium quality and 100% customers' satisfaction. Hundreds customers from all over the world, including North America, Europe, Asia, Latin America have been entrusting thousands of their designs and order requests with us every year. Getting certified in, our company is working closely with our customers as well as material suppliers for the best ensured product quality and on-time deliveries. Most of the wire and cable materials come from the biggest Copartner, the No. 1 manufacturer in China. Qiangxinghong is a licensed exporting manufacturer by Chinese Administration. This does benefits our customers not only in better control of costs, quality and delivery times, but also in a faster new product development. Our customer service and engineering teams are standing by for the requests and enquiries from our customers all year around. Welcome to Qiangxinhong! We enjoy working with your company for joint development in products and marketing success.